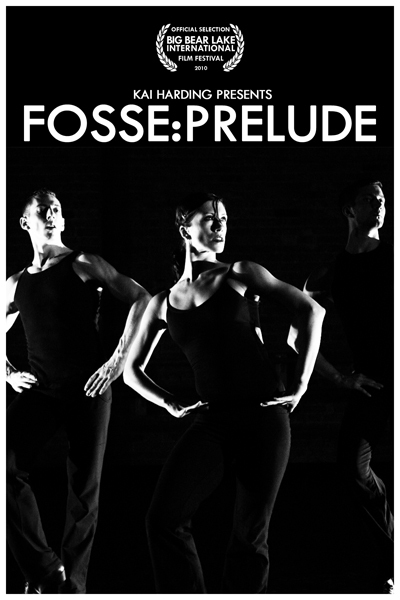 Wow, it’s been a grand year with Fosse:Prelude! From the initial inspiring lunch with Melissa Thodos of Thodos Dance Chicago at Vong’s Thai Kitchen in the Fall of 2009, to the first days of production working with Ann Reinking and the dancers, to the national tour the film took as it accompanied “the Fosse Trilogy” performances last fall, to its Film Festival Premiere this past weekend at Big Bear Lake… it’s been quite a ride! And, while I’ve seen the film a number of times, I still enjoy the exuberance Melissa, Ann and the dancers have for the material. For those of you who haven’t had the opportunity to see Melissa’s company perform, OMG do I feel bad for you. Beautiful, beautiful work performed by incredibly talented dancers, in sensuous original costumes, surrounded by wondrous production tech. The lighting alone haunts me for days afterwards. And have we mentioned just how awesome Ann and Melissa are to work with ? Awesomely awesome. Anyway, its always an honor to work with the entire Thodos team, and to share what we’ve been up to! Now, admittedly, we’re still wrestling with the idea of expanding the film into a much more robust program, to dig in and really show off the dance magic that occurred during “The Fosse Trilogy”. The film was never designed to stand apart from the live performance, but was in fact created to give context to the live performance that was to follow, so very little actual dance was shown during the film itself. With the hours of incredible dance footage we have at our disposal, you can see why we’re itchy to remake this film to stand on its own. But until we do, here’s your chance to see the film in its original form… Enjoy!